A great way to celebrate the love between two special people, this cozy cottage in Winter evokes memories of warm, romantic evenings in front of the fire. Personalize with your custom sentiment to create a one-of-a-kind keepsake to enjoy for years to come. 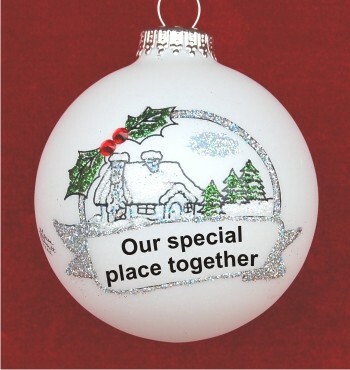 The Celebrating Our Special Place Together measures 4"D, and arrives in its own custom box. For our Cottage Nov 8, 2014 Ella H.